Another day, another bug. But we think some bugs should somewhat be expected with a new operating system…and, no, we don’t think that makes it okay either. So what is it this time? 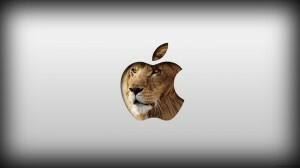 Well, tuaw.com is reporting a bug has been discovered in OS X Lion Server. According to tuaw.com, it appears when a user tries to share a file with extended attributes with a Windows XP or Windows 7 system. “If a file/folder on your 10.7.x Mac (and this includes Mac OS X Server) has some specific (?) extended attributes on it and you do Windows Sharing for Windows users to access the file/folders — you won’t be able to pull the file down to your Windows desktop. I verified this with Windows 7.” The bug has also been verified with Windows XP. According to Steve, the copy process appears to begin, before halting with an error message like, “the file name you specified is not valid or too long,” or less frequently, an “Invalid MS-DOS Function” message. Maser also notes a workaround he devised. It’s not a fix but it will allow for a file to be copied by removing the attributes from the file’s metadata. Apple hasn’t acknowledged the bug yet, but per Masers posting, they now know about it and and fix should be added to OS X Lion server in the future. Is this a bug you’ve run across? Have you tried the workaround? « Mac OS X Lion: Accepts any LDAP password. I also have this bug although it’s not specific to the operating systems, it’s related to the file types created by programs that typically run on them – mainly pre 2011 MS office documents which create temporary files with hidden attributes. The bug has been acknowledged by apple and will hopefully be addressed shortly. It’s notable that the bug does not present itself when opening MS office 2011 files. Hi there. I found the same problem by using Lion (not server version) and trying to move/copy folders from my imac to my PC with windows 7. Many people wrote about an Hard Drive fault but is not this case. iMac is brand new, and the pc has the HD replaced some month ago. I cannot figure out the problem. Did someone find a solution? I found a workaround, however it is not the fastest method. Any folder would make this error but if just copy the files within the folders without any folder you’ld be able to copy them. Open up two explorer windows, one to the remote folder you want to copy and the second where you want those files to be on your windows station. Also you’ll need to keep both windows open while the downloads are busy. Cheers!